Greetings, and Welcome to Williamsburg Elementary School! Williamsburg is a very special place. Within these walls our students work with highly dedicated educators who continually engage in professional development and collaboration to ensure we are always learning and growing along with our students. I’m pleased to say that we are frequently commended for the positive atmosphere in our building. It is extremely important to us that we provide a welcoming, caring environment that students enjoy being part of each day. All students participate in “Second Step”, a school-wide, classroom-based program designed to increase student school success by teaching key skills for getting along with others, managing strong emotion, and learning basic skills for academic success like following directions and focusing attention. Williamsburg provides a well-rounded educational experience within a beautiful, state-of-the-art facility. We provide both intervention and enrichment support based on student need. There is extensive technology support for students and staff including 1:1 devices provided for each student in our upper grades, and use of the computer lab, SmartBoards, and iPads for our younger grades. Members of our parent community participate in a variety of ways in the school on a daily basis, and we have an active, vibrant PTO organization that provides a wide variety of extracurricular activities and events in addition to generous fund-raising support. We recognize that we have been entrusted with an awesome responsibility – the education of this community’s children – and we are committed providing a positive educational experience for each student in our care. As individuals and as a school community we strive to respond to student needs and parental concerns with integrity, compassion, and fairness. While we are extremely proud of the Williamsburg program, we recognize there will always be room for continued growth and improvement. To this end, we welcome your comments and suggestions. By working collaboratively, we can ensure a successful educational experience for each child. Thank you for visiting our site today, we hope you enjoy your visit. Dr. Julie Dye serves as Principal at Williamsburg Elementary (formerly named Coultrap Elementary School). She taught elementary school in the far north and western suburbs of Chicago before completing graduate work in Educational Leadership and earning a doctorate in Educational/School Psychology. 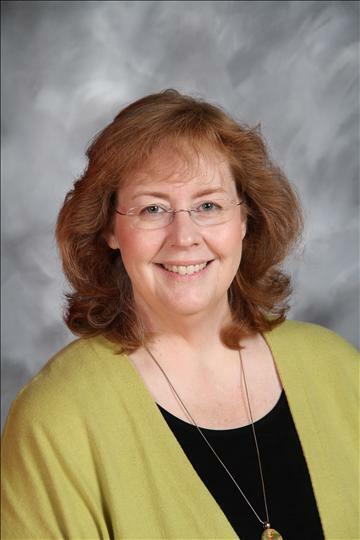 Dr. Dye has been part of the Geneva School District since 1998, initially as a School Psychologist for the first three years, then becoming Principal at Coultrap Elementary School in the Fall of 2001. Dr. Dye was raised on a small farm in western Illinois where her father farmed and her mother taught in the local public school system. She and her brother enjoyed growing up in the close-knit farming community and the freedom of farm life and to this day Dr. Dye loves animals of all kinds. Faith and family continue to be the foundation of her life and when she has free time she enjoys reading, playing the piano/singing, engaging in artistic pursuits, and playing with her Persian cats, Cammy and Cashew.